As Heather and Karen guessed, the mystery seeds from last week were indeed from a kiwi, Actinidia deliciosa. Kiwi, also known as Chinese gooseberry, grows as a vine that can reach 30 feet long. (Orchard photograph by James Shook, retrieved at Wikimedia. 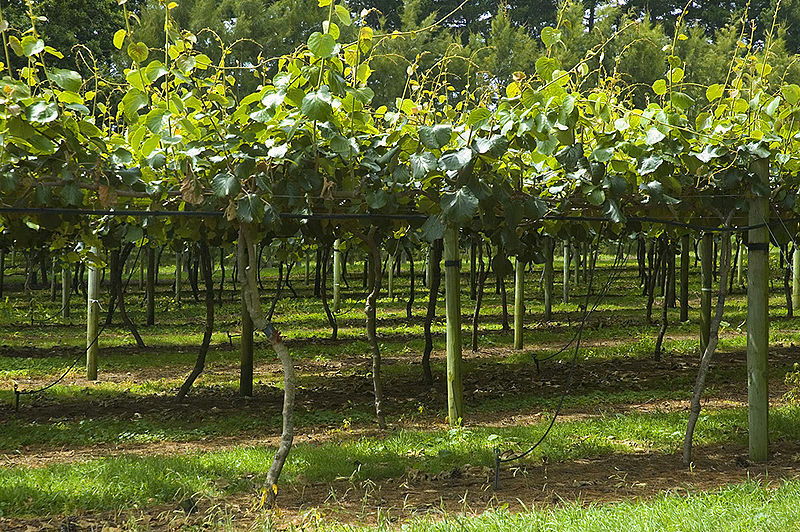 In this photograph of an orchard, it appears that the commercially-grown vines are trained rather like grape vines in vineyards. Often associated with New Zealand, the plant actually originated in Asia. It was introduced to New Zealand in 1906, and soon became a crop that has since been exported throughout the world. The orchard shown above is in New Zealand. 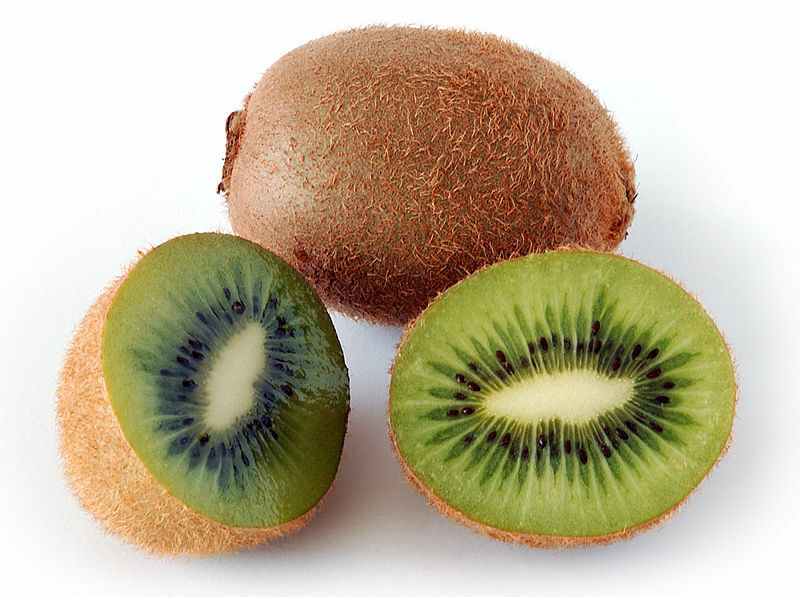 The fruit has a brown, fuzzy exterior, which may make it look a bit like the kiwi bird. The flesh of the fruit is green. The fruit is fairly easy to keep and ships well. In addition to eating it raw, the kiwi can be used in baking. Do you like kiwi? What is your favorite recipe? Have you ever grown a kiwi vine?